Elegance and Mommyhood. : Thursday Moda #113: My Annual Blog Birthday Party - Pastel Girly Ruffles. 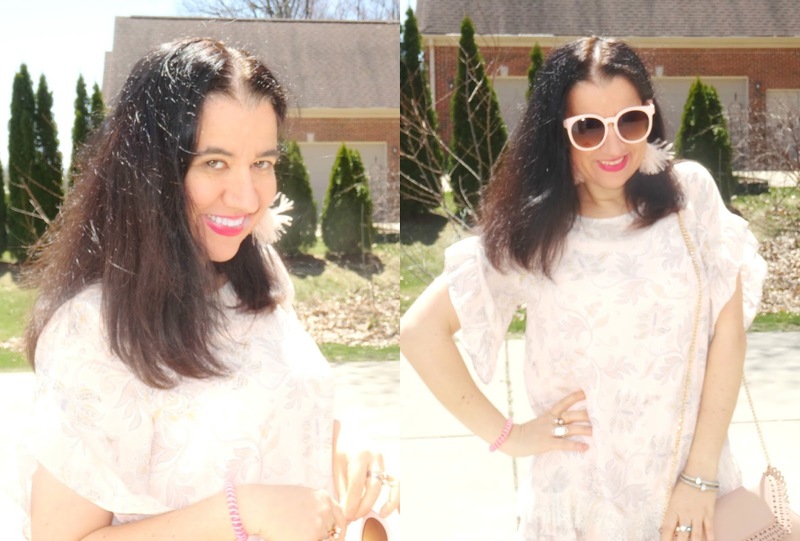 Thursday Moda #113: My Annual Blog Birthday Party - Pastel Girly Ruffles. MY ANNUAL BLOG BIRTHDAY PARTY. As I am typing this out, I am reminding myself that in less than 24 hours I will be a year older and hopefully a year wiser, a year brighter, a year prettier, a year happier and a year healthier too. The past year of my life has been a little difficult to tell you the truth. The words 'struggle', 'sadness', 'loneliness', 'anger', 'tears', 'mistakes', 'glass half-empty' and more have made up some of the darkest days and nights I have left behind. But, I have continuously reminded myself and still do today that: God is good and life isn't so bad, after all. I have my good health, I have my sanity, I have a great family, I have a job that pays my bills and most importantly I have a beautiful, smart and super loving little girl that I get to call my daughter. And of course I have many material things but in retrospect those mean nothing compared to my health and my daughter's. So see, I am trying to see the light at the very end of the 37th year of my life. And it was a long, dark tunnel of a year, especially in the last 6 months or so. In my raw, humble and always realistic opinion, I am typing all of this and thinking of the past, the now and the future. And this is just part one of a two-part series all about birthday reflections and birthday celebrations too. 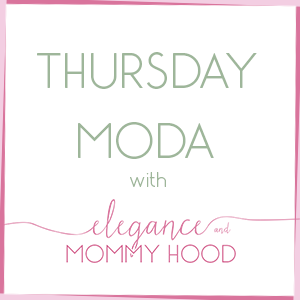 Which brings me to the style aspect of today's very special and very honest "Thursday Moda" post. 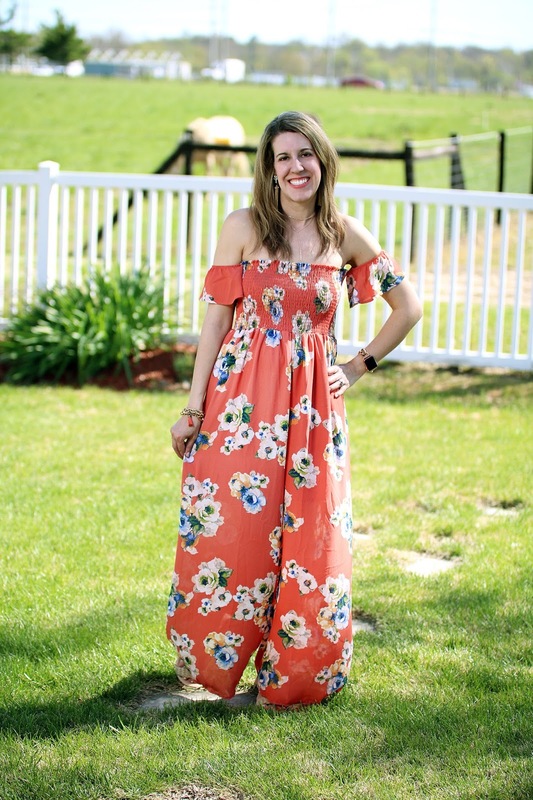 Every year that I have been blogging, since I became a mom in 2013, I thought it would be fun to have a Style-themed Blog Birthday Party on my blog, including other fashionistas and blogging friends. It started in 2013 like I said (with a 3-month old baby at the time) and this is the 6th year of this fun birthday tradition. When I first started it in 2013 as a beginner blogger, I invited my closest 5-6 blogging buddies who came to visit, read and comment my blog on a daily basis. Over the last 3 years this fun party has grown and it has become a two-day celebration. This year I am joined by another two dozen fashionistas who I am lucky to call my friends and who are all super stylish to boot. A lot of these ladies have been celebrating my birthday with me on the blog other years too and I am very glad and flattered to see them return. All I asked is for them to style a dress or a skirt and send me a little blurb/paragraph about their outfits. No one disappointed as seriously everyone looks great! What I love is that everyone stayed true to their style! One of my first and oldest blogging friends, since before I was even a mother and she is a girl mamma herself now - AMY from Amy's Fashion Blog. Her 6-month old AliAndra is beautiful. And fun fact: Amy used to live in Michigan, too. "Hello everyone, I’m Amy. 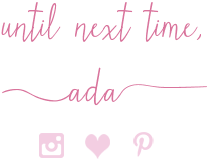 I Blog over at Amy’s Fashion Blog. I’m a new mom to a 6 month old baby girl. Since becoming a mom my fashion sense has changed and I’m learning how to dress my new body type. You will find my everyday casual outfits on my blog. Happy Birthday Ada!" She is the blogger who does it all and always smiles while doing so. She has great family, decoration, organization and craft posts, too (aside fashion). Thank you for joining me CARRIE from Curly Crafty Mom. "Hi! I am Carrie over at Curly Crafty Mom where I talk about fashion, DIY/crafts and decor, fitness and more! I was so excited when Ada invited me to join her for her birthday celebration. I've been blogging friends with Ada for several years and we even exchanged surprise packages in the mail once, which was a lot of fun. Happy Birthday, Ada! The outfit I am wearing today is inspired by an upcoming trip to Cancun that I'll be going on with my husband later this month. When I saw the orange floral print, it made me think of a sunset. In fact, I'm planning on wearing this fun jumpsuit (my first jumpsuit!) on our vacation for our sunset dinner. I can't wait! Thanks Ada for having me!" 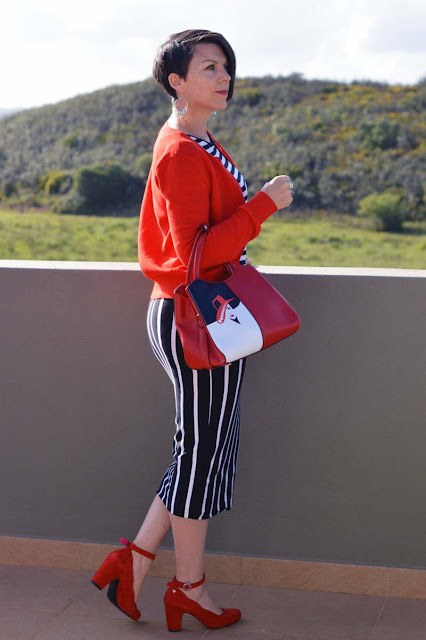 This super fashionable mama is originally from France. I discovered her blog less than a year ago but I love her French-inspired super chic style. Welcome CHRISTINE from Bon Chic Style. JENNIE from A Pocketful of Polka Dots and I have collaborated many times in the last 2-3 years. I'd wear every outfit she wears (totally my style) despite her being a decade older than me, like today's fun outfit for example. "Happiest of birthdays to you, sweet Ada! When it comes to celebrations I like to wear something fun and colorful. A pattern mix that also features a bit of sequins and a skirt that twirls is enough to make any girl feel festive on her special day!" LAURA from I Do deClaire and myself were the first to do a series together, over 3 years ago. We are around the same age and our first children are daughters less than a month apart, plus I love her style and it is totally my cup of tea. "I love to find a reason to dress up a bit. It makes any occasion feel more special. This dress is one I recently got and look forward to wearing at several special occasions this summer. I hope you have a wonderful birthday and fantastic year ahead Ada!" LINDA from A Labour of Life reminded me that this is the 5th year she celebrates my birthday with me on both of our blogs. Fun fact: Linda is also the one lady I have collaborated the most with in 5 years. I love her outfit today - one of my favorites, I love olive green. Oh and she is the sweetest too and by the way, you have to join her linkup today, as well! "Happy Birthday and this is my fifth Birthday celebration. I went back to the first Birthday that Ada invited me too and I was tempted to wear my Mad Max Maxi again, a timeless style but the fifth celebration together called for something a tad more special. This was a fun dress I picked up at Target last Fall but didn't get much opportunity to wear it over the Winter. Now that Spring has sprung I figured bare legs and shoulders would make their appearance. I Love the Floral detailing because there is something about pretty florals that make me think of the Birthday Gal. Paired with my Nine West booties I am ready to Par-Tay with Ada and Viv." Always the kindest and with a sweet tongue, fellow toddler mom MAUREEN from Little Miss Casual joins my Birthday Party for the first time. I have only known her for a very little time but she is so kind and nice. "I am a low maintenance outfit kind of girl because to me, comfort is king! 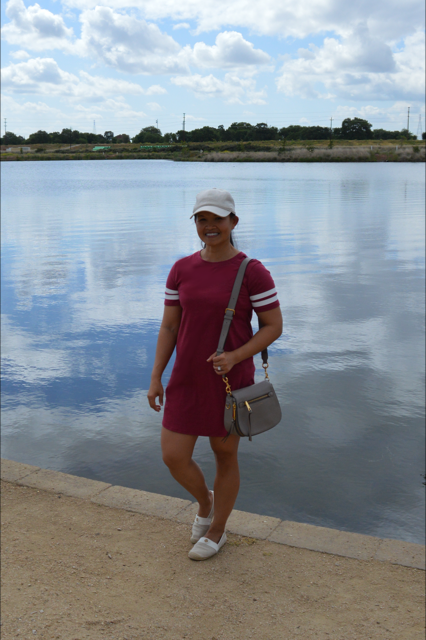 I love clothes that are effortless and easy to wear and there’s no outfit easier than a t-shirt dress. Happy Birthday Ada! Wishing you a marvelous day and cheers to a spectacular year!" NINA from A World of Dresses has two things in common with me which I love: she loves dresses and wears a lot of them and she loves to travel. She is currently an English teacher in Spain and I have loved all the past dress collaborations we have done in both of our blogs. "Hello! My name is Nina and I'm the blogger behind A World of Dresses. I am an American expat living in Spain. I blog about fashion, travel, dresses and life overseas. Happy Birthday Ada!" 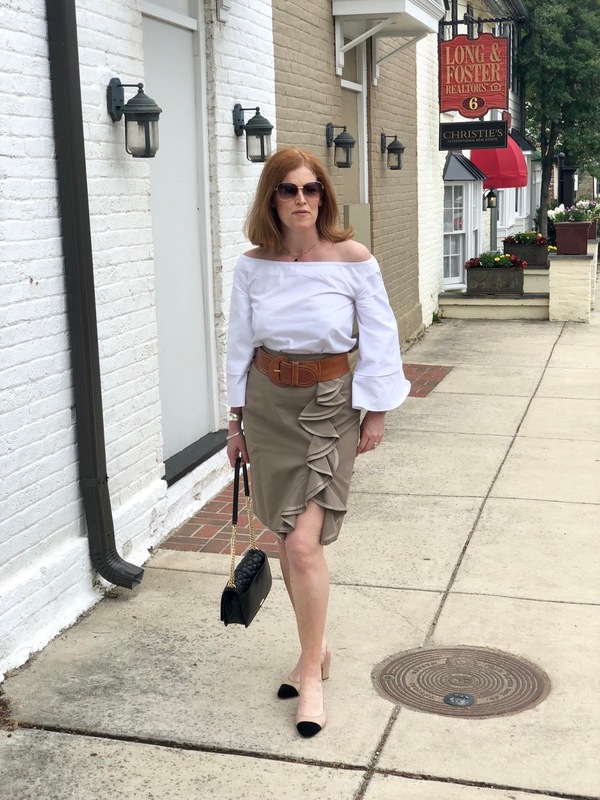 This sweet stay-at-home mommy to two little girls, RUTH from My Little Nest has such a versatile style that is also chic, casual, dressy at times, modern and admirable. The way she styles her clothes is so much fun and different. "A denim jumper is a great spring piece in your wardrobe. It can be easily layered and styled for the weather. A pair of tights, ankle boots (or rain boots) and long sleeved t shirt make it great option for a cold rainy spring day. Styled by itself with a pair of strappy sandals and hat can make it cooler for a sunny day. This is one of the most versatile dresses that you could add to your wardrobe this season!" You need more than a paragraph to describe SHELBEE from Shelbee on the Edge. Seriously, this woman is so unique and amazing. I bet most of you didn't even know her birth-name is Michelle. My friendship with this lady is so special and she knows it. Plus she has been a part of a ton of collaborations and many more to come I am sure. "For my outfit celebrating your birthday, I chose a floral maxi dress from Torrid which I purchased with the intention of styling more like a kimono over jeans and a tank top. And then I received a black lace trimmed knit sun dress from Rosegal that ended being not so flattering. So I tried layering the two dresses together and it kind of ended up being a magical combination...perfect for a birthday celebration! 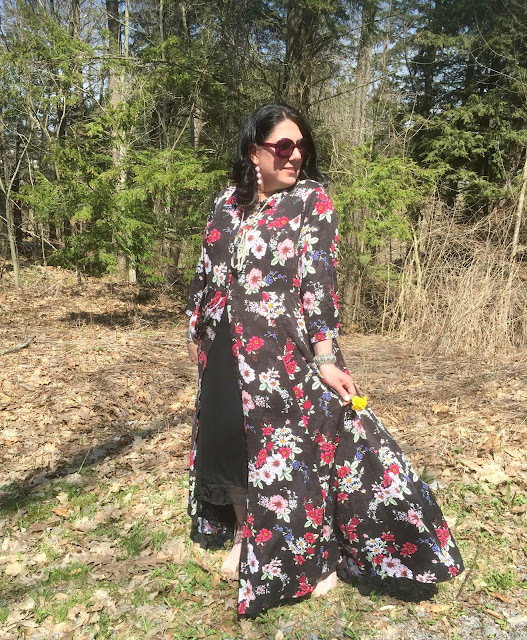 The maxi dress is really very maxi as it is quite long even on my 5'8" frame so I wore some super high heeled blush open toed booties with a matching floral embroidery detail. I feel so ready for Spring and all of its celebrations in this outfit!" Even-though I listed today's eleven beauties in alphabetical order, I must say that my most favorite outfit from today's post is hands down this one, by the lovely SUZY from Suzy Turner. Plus she is wearing red - my favorite color. But seriously her skirt, bag and shoes are fabulous and I want them! It is so fitting that I end this sea of outfits today with this particular one! "HAPPY BIRTHDAY!!! I hope you have a wonderful day. Thank you so much for inviting me to take part." Thank you beauties for making this tradition super fun, joyful and fashionable once again! Cheers with a Pinot Noir! Here is to another year of getting older and hopefully wiser!! And to those of you who made it this far, thank you for reading. Thank you for always stopping by, commenting, praying for me lately, loving me, sending me positive thoughts, linking up with me every Thursday. Thank you for celebrating my birthday today on the eve of my birthdate (which is on May 4th)!! Happy Birthday Beautiful Ada! LOVE the dress and the shoes too! Happy Birthday girl! You are one of the kindest, sweetest spirits I know. I have always appreciated your sweet comments on my blog. Happy Birthday! I hope that this year is a wonderful! Please do join my #chicandstylish #linkup today - also there's a giveaway too. Happy birthday Ada! So happy to continue your party on tomorrow's blog. Love this pastel look and thanks for the link up! I wasn't aware that you have had such a difficult year, I am so sorry to hear. Well, Happy Birthday dearest Ada and that next year me be a new one with lots of highlights! See you tomorrow! What a wonderful way to celebrate your birthday Ada!! I hope this year brings you everything you desire!! Thanks again for having me be apart of your birthday bash post. Your earring are super fun a cute. I hope you have an amazing birthday tomorrow. Happy Birthday Ada! Looking pretty in that lovely dress! Happy Birthday Ada!! Enjoy your day. This dress looks beautiful on you, and I'm loving the ruffles! Happy Birthday Ada! I hope you have the most wonderful day ever! I know the coming year will bring you much joy and happiness so hang in there. Love your blog and social media you got a great thing going! Peace! Happy, Happy Birthday! Everything that I want to say to you is in my blog post! Love you! Except the part about how fabulous you look in this pretty dress! Love it! Sorry this has been such a rough year for you, Ada! I've had some really, really rough years in my life... one that comes to mind is 2011! Ugh, that was a rotten year! Still had a lot to be thankful in it, but it was tough to the core. You look so pretty here, pink is your color. Love those fun earrings and bow shoes! Have the Happiest of all Birthdays!! You are very blessed!! HAPPY BIRTHDAY DARLING ADA!! You look absolutely beautiful in this dress - I love the girlienees and cheekiness of it! I'm naturally delighted that you loved my outfit! Sorry I didn't supply a paragraph about the actual outfit though DOH lol!! Thank you so much for inviting me to celebrate with you, Ada!! Happy birthday sweet Ada! wishing you the best for a bright and wonderful year. i hope you celebrate in a big way! love the pastels, the adorable slides, the dress and lovely bag. very soft and pretty look. Happy birthday gorgeous. Always such smiling and pretty face. Love you. Happy Birthday Ada! I'm so happy for you for celebrating and acknowledging that even when you've had a rough time, that doesn't mean it has to be forever. I hope this new year is a fresh start, full of growth, opportunity, and lots of happiness for you! Happy birthday Ada, you look fab in this soft feminine look. Happy birthday, Ada! I'm so lucky to have met you—you are so supportive and encouraging, and I love that you're featuring all of these fellow bloggers here (and I'm lucky to be part of part 2)! I'm sorry that you're going through a rough time, but birthdays are always a hopeful time, and so here's to a better year ahead! XO! Love this dress! Happy Birthday and Blogiversary! Happy Birthday to you Ada! Thank you for asking me to take part in this fun collaboration! You look absolutely lovely! What a lovely birthday tradition, Ada! Your super cute dress outfit is so feminine and flattering! And all the ladies look amazing. There are so many special ladies on this blogging journey.I hope to get to know them! Happy Birthday! HB Ada ! This pretty dress and matching earrings are beautiful. Happy Birthday Ada! Today is your day and it is a special one. I know you have had a rough April actually few months but let's focus on you today. I want you to know you are a beautiful, intelligent and amazing person with a great sense of style! 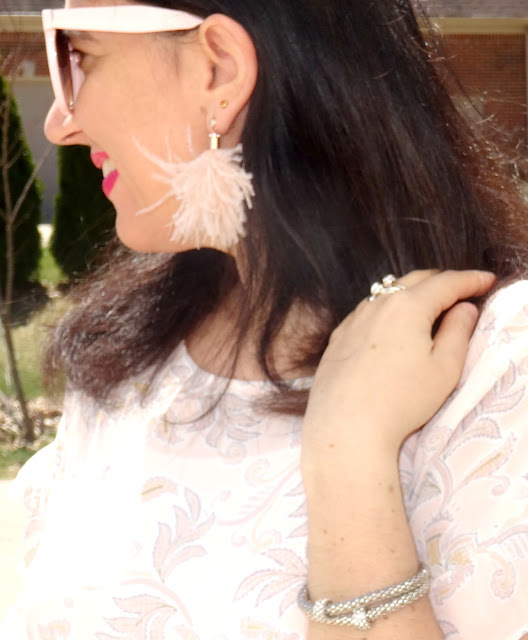 I love your pastel ruffle dress and it looks great on you and I like how you styled it with those feather earrings! You look lovely my friend and cheers to a marvelous birthday! Thank you for letting me be a part of your special day. Happy birthday Ada. I LOCE your first outfit, it’s so pretty and you look beautiful as always. This is such a fun blog party. Hi Ada! I apologize that I'm just now getting around to commenting on this post. I had a trip to London planned for last weekend and some travel complications that had me arriving home at 5 a.m. Monday morning. I still had to work that day, so it was nuts. I'm just now getting around to catching up on all things blog. I love this dress and look on you! I love light spring colors! Thanks for having me in this collaboration and bringing us all together! Everyone is looking really amazing in the pictures. You must’ve had a wonderful birthday celebration. I’m also organizing a grand party for my birthday this week at one of my favorite San Francisco venues. A little disappointed that my family won’t be attending the party but I’m sure have an awesome time with my friends.